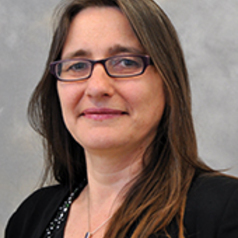 Pauline Rose joined Cambridge University in February 2014 as Professor of International Education. Prior to this position, she was Director of the EFA Global Monitoring Report (from August 2011) during which time she directed two reports on youth, skills and work, and on teaching and learning. Before becoming Director, she worked as Senior Policy Analyst with the team for three years, leading the research for three reports on the themes of governance, marginalization and conflict. Before joining the EFA Global Monitoring Report, Pauline was Reader in international education and development at the University of Sussex. Pauline is author of numerous publications on issues that examine educational policy and practice, including in relation to inequality, financing and governance, democratization, and the role of international aid. She has worked on large collaborative research programmes with teams in sub‐Saharan Africa and South Asia examining these issues. Throughout her career, she has worked closely with international aid donors and non-governmental organisations, providing evidence-based policy advice on a wide range of issues aimed at fulfilling commitments to education for all. She is also experienced in communicating research to broadcast and print media.